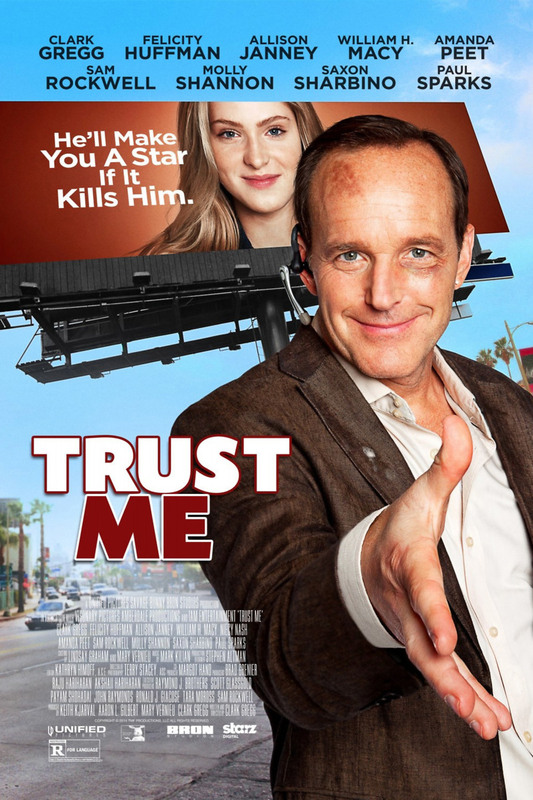 Trust Me DVD release date was set for August 26, 2014. Howard Holloway, a former Hollywood child star who now represents child actors new to town, discovers Lydia, 13 years old, sweet, extremely talented as an actress and unsigned by any agent. A new film series in the style of the Twilight movies is beginning production and Lydia would be perfect for the lead. But Howard has several obstacles to overcome. Both the producer and the casting director of the new film franchise despise Howard. Lydia's father is an alcoholic manipulator. Howard's arch-rival, Aldo Shocklee, is trying to convince Lydia that he's the one who can make her a star. Howard prevails in his efforts to make Lydia a star, but finds that Lydia might not be the sweet innocent girl she at first seemed.